Help, my interest-only mortgage is maturing – what can I do? The City watchdog has warned that 1.67 million borrowers have interest-only mortgages and that many of these home owners may have no way of paying back their debts when the final balance falls due. Read about how the HomeOwners Alliance has been helping one retired member who finds himself in exactly this position. Interest-only mortgages are a ticking timebomb that are in part the legacy of lax lending standards in the run up to the financial crisis when banks and building societies freely handed out mortgages which only required borrowers to pay back the interest each month and not reduce the size of their balance. Some borrowers did not fully understand the fact that at the end of the mortgage term they wouldn’t own their property and might have to hand it back to the bank if they didn’t have alternative investments to repay the loan. HomeOwners Alliance has been helping one retired member who finds himself in exactly this position. But, unlike some borrowers, David, 72, did have a plan to repay the loan. In fact it was suggested by his mortgage company. David took out an endowment policy which was once a popular type of investment designed to pay out at the end of the mortgage term and clear the debt. Unfortunately, the performance of this investment was woeful and the return it generated was a fraction of the outstanding balance leaving him with £100,000 still to repay by 2025. David, from North London, has been told that it is unlikely that the lender will extend this deadline due to his age. However, the remaining debt is very low compared to the value of the house, which is estimated to be around £900,000 – meaning his loan-to-value is just 11%. He is determined to stay in his home as he has a supportive network of friends nearby and doesn’t want to have to downsize to a new area. He is also wary of equity release because the interest rates are higher than those of conventional mortgages and he would like to leave behind an inheritance to his two grown-up daughters. David has a decent pension which pays £26,000 a year and he has been renting out many of the rooms in the house on Airbnb generating extra £20,000 a year in rent and feels that with these two sources of income he could afford to repay the remaining balance over the next ten years if a lender would be willing to give him this extra time. HomeOwners Alliance spoke to two mortgage experts to find out if there are any lenders who cater to older borrowers like David who find themselves with an interest-only repayment conundrum…. Daniel Bailey of Middleton Finance says: “Our borrower, David, has two major problems here. Firstly his age and secondly the fact that lenders do not like borrowers relying on income from Airbnb. “Family Building Society would be the most flexible in these circumstances as they set the maximum age on a case-by-case basis. “Based on a brief summary of David’s circumstances it is likely that they would give him a term of 14 years which would allow him more time to repay the loan. “However, the bad news is that the building society will not allow Airbnb rentals, which means that David would struggle to afford a repayment mortgage. David Hollingworth of L&C Mortgages, says: “Interest only mortgages where borrowers have an inadequate or even no repayment vehicle are a big concern for the regulator. 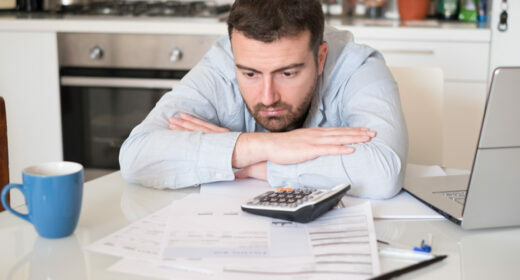 “While borrowers can take action to improve their position this gets tougher as they get older. As well as employing tougher interest only criteria lenders have typically reduced their maximum age at the end of the mortgage term. “Although lenders can offer mortgages that stretch into retirement where adequate income can be evidenced, they will often set the maximum age at the end of the mortgage at 70 or 75. “A growing number of lenders including Halifax, Skipton and Leeds Building Society are once again starting to lend up to 80 if borrowers are already in retirement, but that is not going to be much help, given that David will be 79 at the age of his current mortgage term anyway. Hollingworth says that several small building societies such as Ipswich, Bath, Marsden and Leek United all offer some flexibility on the maximum age of borrowers so it is worth David speaking to these lenders to discuss his options. But perhaps the most viable option for borrowers like David who are stuck with a substantial interest only debt is the 55+ mortgage from Hodge Lifetime. Hollingworth says: “Hodge Lifetime is a specialist in the equity release market but has recognised that a lifetime mortgage may not be for all. “It has developed a mortgage product for those over 55 which can run until age 95 at the end of the term. Hodge offers a two-year fix at 3.5% and five-year fix at 3.9%, both up to 60% LTV with a £995 fee. There is a two-year discounted rate option too which would have a current pay rate of 3.35%, up to 60% LTV and £995 fee. Do I need an Independent Financial Adviser? Hi Ann, interesting question, Let fee-free expert mortgage advisers guide you through this issue by calling our partners, London & Country on 0800 073 2326. We have a part repayment and part endowment mortgage. The endowment is a small portion of the total sum and matures this year – it will predictably be £12k short. The mortgage term is until 2025 so do we need to pay the endowment part back this year or can we invest the return and pay it back with the repayment part in 2025? Hello John and Kay and thanks for getting in touch. Can I suggest that you have a chat with a mortgage adviser at our partner, London and Country? You can contact them on 0800 073 2326. They’re open Monday through to Sunday and until 8pm on weekdays. My wife and I currently have an interest-only mortgage with an outstanding balance of approx £240k with Birmingham Midshires which now needs to be redeemed. Our house is valued at £499,000 (we recently received a firm offer for this amount) – however, we would prefer to stay put and are therefore seeking a retirement interest-only (RIO) mortgage of around 50% LTV i.e. approx. £248k in order to repay Birmingham Midshires and use the balance to install some additional double glazing & a new gas combi boiler. We have a clean credit history and have never missed – or even been late for – a mortgage payment. Our ages are 71 & 70 respectively. Do you have – or know of -a RIO (or similar) mortgage product that might fit our needs? Re: income – as we’re looking for an interest-only arrangement, the ideal lender for us is one that underwrites on the basis of our ability to afford the interest payments only – in which case, our net income should be more than sufficient to cover the required loan. Re: repayment strategy – in the event of the death of one or both of us, or on reaching the full term of the mortgage, our repayment strategy is to sell our house to repay the mortgage balance in full. We are in a similar position. As we have BTL properties they go against us in affordability calculations. We are currently trying to sell a BTL property to pay off our mortgage and the irony is we can’t re mortgage our home as if a BTL was empty we couldn’t afford the repayments. Well the BTL is empty as it’s on the market and we are paying both mortgages. Our home has been valued at £250000 and our mortgage is £45000 ie LTV less than 20%. Our bank is actually costing us money by their decision as if we didn’t need to sell the BTL we could of rented it out.